Once upon a time, not too long ago actually. There lived a giant of a man who went by the name Tyson Fury. And to his loyal followers, The Gypsy King. Now the story goes that this giant beat all who came before him. Striking them down with unequaled skill and unanswered blows. Born into a rich lineage and fighting tradition. It was as though his destiny had been shaped long before ever taking his first breath. Now it would be fair to say that as he grew as a man, he had the kind whose personality that left many onlookers with either a feeling of love or hate. With very little room for anything in between. But it was his boxing ability, not his character that could be questioned. Evidenced by his results and his capturing of the undisputed world heavyweight boxing championship. Let us hark back to the time when the lesser known Fury sought to unseat the undisputed heavyweight champion Wladimir Klitschko. With many of his peers believing Fury would not have enough tools at his disposal to unseat the champion, he entered their competition the underdog. But not to be outdone in his quest for greatness, Fury looked to both outbox and outpoint the reigning king Klitschko … and so he did. After laying bare the boxing landscape, what next? What great challenge now faced the man mountain and who would seek their opportunity to bring him down to his knees? As it happens, it would be no man born from his mother that would finally cripple and dethrone the newly crowned king. 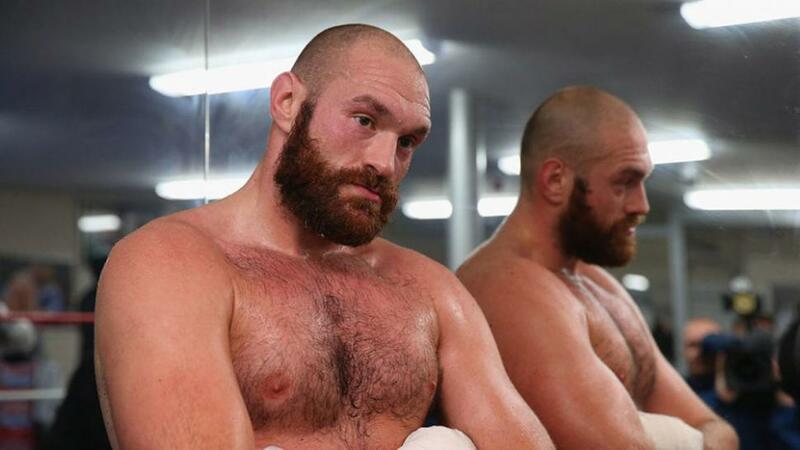 As Fury contemplated his life and his future in the sport. A strange undercurrent took hold of his psyche, taking him to the darkest corners of his mind. As mental illness tightened it’s grip, Fury looked to silence the voices by self medicating. Pretending to friends and family that everything as ever, was just fine. 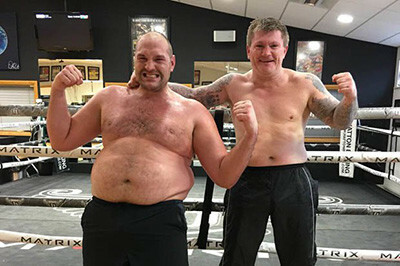 Through copious amounts of alcohol and drugs, the now former undisputed champion ballooned to some 400lbs or 28 stone in weight. In a very real visual representation of the chaos now taking place inside his minds eye. What followed was a seemingly endless session of partying followed by the inevitable hangovers. As the once great fighter looked on as his career and his life fell apart one drink at a time. Fury would go on to detail his lowest point on the Joe Rogan experience podcast where he discussed his failed attempt at suicide when things simply became too much to bear. If not for an unlikely intervention and a new found love for his old friend boxing. There is little doubting now, that at the time Tyson Fury’s own willingness and game plan to self implode would have succeeded. Now, after over two years away from the sport. And making a monumental comeback, simply in terms of his weight, losing over 150lbs. It’s the sign of someone who has both great mental fortitude and an unwillingness to never give up. Which has seen Fury claw his way back into fitness and two recent successful fights inside the ropes. But let us be clear, I won’t be the one to gloss over the fact that either of his opponents were anywhere near the top level he once competed against and defeated. And with only those two wins, the Gypsy King Tyson Fury in his undeniable and now unshakable self belief. Decided to answer the call of the WBC world heavyweight champion Deontay Wilder. 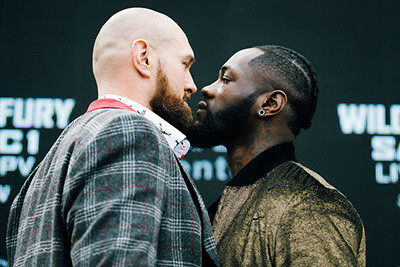 Wilder who at least publicly has been calling for his shot at the WBA, IBF, WBO, and IBO world champion Anthony Joshua, had his demands go unanswered. With Joshua seeking to carry on and face his mandatory challengers before potentially turning to face Wilder. It was the lineal champion Tyson Fury who would answer the call. And now, quite unexpectedly, these two Goliath’s of the boxing world will face off come December 1st. For Fury to come back from the greatest challenge of his life in his fight with mental health. Having tasted the highest of the highs lowest of the lows physically, mentally, emotionally … To take on one of the deadliest KO artists in the sport is nothing short of stunning. Will he go on to fulfill his vision and regain his mantle as the greatest heavyweight boxer of his generation? With Anthony Joshua waiting in the wings, looking on with great interest. It’s a captivating scenario and a touchpaper that could once again set the world of heavyweight boxing alight! All eyes will be on Deontay Wilder vs Tyson Fury a week from today.